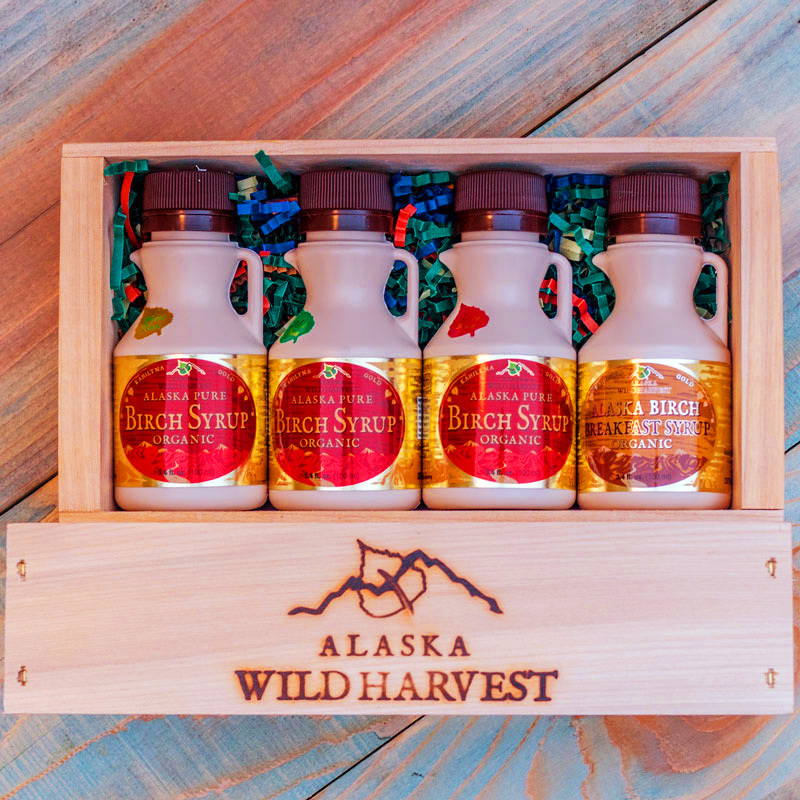 4 Pack – Birch Syrup Gift Crate packaged in a locally crafted cottonwood crate. Includes all pure birch runs plus birch breakfast syrup. This crate includes a Breakfast Syrup and all three runs of Pure Birch Syrups (First, Mid, and Late). Beautifully packaged in a locally crafted cottonwood crate, and stamped with our Wild Harvest logo.